How to treat ingrown eyelashes? Home / Health A-Z / How to deal with ingrown eyelashes (trichiasis)? How to deal with ingrown eyelashes (trichiasis)? Ingrown eyelashes occur due to misalignment. The eyelashes grow backward, towards the eye instead of away from it. In medical terms, an ingrown eyelash is called trichiasis. Eyelash problems are mostly both painful and irritating. Also, if left untreated, they can cause damage to the eye. How to prevent ingrown eyelash? Ingrown eyelashes can be due to trauma, infection or autoimmune disease. 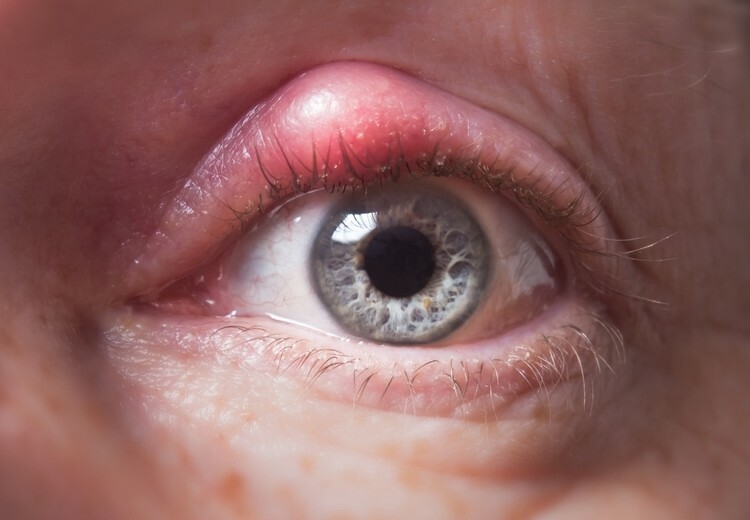 The eye that is affected can experience redness, irritation and watering. The typical sensation due to ingrown eyelash is like having grit in your eyes. Ingrown eyelash can be a source of pain and discomfort. It can also cause sensitivity to light (photophobia). In chronic cases of ingrown eyelashes recurrent eye infections can occur. The irritation of eye due to the ingrown eyelash can cause corneal scaring. And in severe cases it can lead to vision loss. Some people may encounter eyelash or eyelid problems as they age. The eyelids and eyelashes are responsible for the protection of the eyes. So when eyelash problems occur they should be dealt with haste. There are many different treatment options for managing ingrown eyelashes. The options range from home remedies to medicines to surgical intervention. The cause of ingrown eyelash determines which treatment to use. Ingrown eyelashes can be a nuisance. They can cause irritation and discomfort. Chronic ingrown eyelashes can cause vision loss in severe cases. There are many different causes of ingrown eyelashes. The causes range from infections to trauma to autoimmune disorders. It is important to identify the cause of ingrown eyelash for the proper treatment. In this section we are going to talk about some of the causes of ingrown eyelashes. It is the chronic inflammation of the eyelids (1, 2). It mainly affects the eyelash bearing area. The blockage of meibomian gland (small oil glands in eyelids) are the cause of blepharitis. The other causes of blepharitis are infections and allergies. The most common bacteria that cause blepharitis are streptococcal bacteria. Long standing chronic blepharitis can cause ingrown eyelashes, according to the MSD manual. Blepharitis usually resolves within 4 weeks. Crusting of eyelids leading to eyelids sticking together. Blurring of vision due to poor tear film. Because the meibomian glands are clogged. Sty (Stye) are small bumps that form on the eyelids. They can cause irritation and discomfort but are rarely serious. 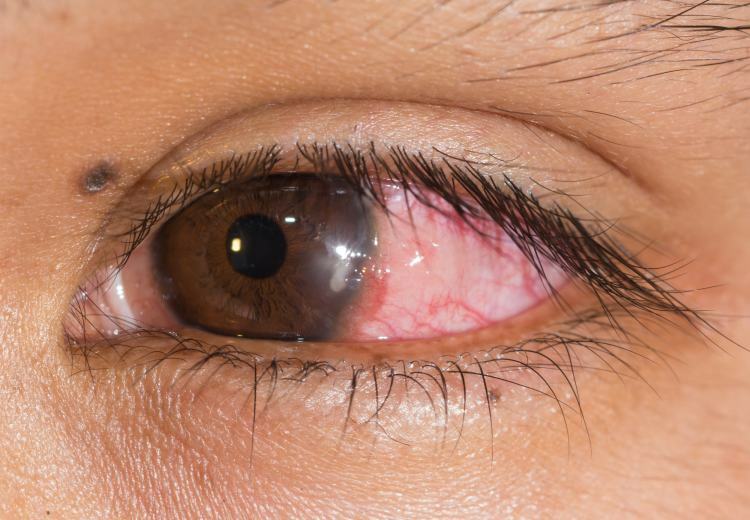 The main causeof stye is bacterial infections (2, 3). Stye mostly goes away on its on in a week or two. The bacteria grow into the follicle (root) of the eyelashes and the tiny oils glands on eyelids. This causes alternation in the growth pattern of eyelashes. The obstruction and infection of pores prevents the outward growth of eyelashes. These factors can lead to ingrown eyelashes. Complication to surgery like ectropion repair. There are some autoimmune disorders that can cause trichiasis (4). These autoimmune disorders can affect the eye specifically like in vernal keratoconjunctivitis (VKC). Or they can be systemic autoimmune disorders that also involve the eyes like Stevens - Johnson syndrome (SJS) and lupus. Stevens Johnson Syndrome (SJS) is a serious but rare disorder that affects the skin and mucosa. It starts with flu like symptom and later rashes and blisters appear on the skin. The upper layer of affected skin dries and sheds off. This can also involve the eyelids and cause malalignment of eyelashes, which can lead to ingrown eyelashes. Vernal keratoconjunctivitis (VKC) is a recurrent inflammation of the eyes. It is a rare disease and is mostly found in the younger age groups. VKC can cause hard cobblestone like bumps on the upper eyelids and swelling and thickening of the conjunctiva (inner eyelid). This can lead to the formation of ingrown eyelashes. Lupus is a chronic autoimmune disease. Lupus affects the immune system of the body. The immune system helps the body fight invaders like bacteria and virus. But in lupus the immune system cannot differ between normal body tissue and invaders. Thus, it starts attacking normal tissue. This leads to inflammation, damage and pain in different parts of the body. According to the Everyday Health, lupus can cause eye and eyelid swellings (5, 6). This can lead to ingrown eyelashes. Entropion is a medical condition in which the eyelids fold inwards. This is more prevalent in the elderly. This condition differs from trichiasis because the eyelid is at fault not the eyelashes. In entropion, the margin of the upper eyelids flips and turns toward the inside. This can affect single of both the eyelids (7). With age, the upper eyelids become lax and the muscles that holds it in position become weak. This leads to inverted eyelids and invented eyelashes. Psoriasis is a skin disorder that is both unpredictable and irritating. In this disorder, the turnover of the skin cells is increased by about 10 times the normal. This cause thickening and scaling of the skin. Psoriasis mostly affects the skin on the scalp, elbows and knees. It can also rarely effects the eyelids. The thickened skin can lead to malpositioning of the eyelashes. And sometimes even causing the formation of ingrown eyelashes (8). Various bacterial, viral and fungal infections of the eyelid can cause trichiasis. The microorganisms can enter the follicle (root) of the eye lash and hinder its proper growth. They can clog the small oil glands on the eyelids. These factors can cause the formation of an ingrown eyelash (9, 10). Ingrown eyelash in itself may seem like a minor albite irritating problem. Yet this small ingrown eyelash can lead to some serious and painful symptoms. Eyes are one of the most vital organ of the body. And any disturbance in sight can lead to major consequences. So it’s important to recognize the symptoms of ingrown eyelashes and treat them promptly. Given below are some of the common symptoms of ingrown eyelashes. One of the most common symptoms of ingrown eyelashes is swelling. The reason behind the swelling can be the ingrown eyelash itself or the disease that is causing it. Blepharitis, infections and autoimmune disease that cause ingrown eyelashes can precipitate the swelling. The skin around the eye is sensitive so even mild stimuli can cause irritation or burning sensation. The pain is mainly due to the inflammation. The chemicals that cause inflammation also lead to pain. Due to inflammation, the skin becomes starched. This can cause the stimulation of pain receptors. The swollen eyelids can also rub together or the ingrown eyelashes rub against the eye. This can lead to pain and irritation. Watery eyes are a real nuisance because it can cause blurred vision. The watering of eyes can be due to the inflammation or it can be due to the ingrowth eyelash irritating the eye. Inflammation causes the accumulation of water and blood. This can give the eye a bloodshot appearance. It can also be due to the ingrown eyelash rubbing against the eye. Ingrown eyelashes cause inflammation, pain and irritation of the eye. This can make maintaining proper eye hygiene painful and difficult. Thus, leading to increased chance and incidence of infections. This is one of the worst symptoms of ingrown eyelashes. The ingrown eyelashes can rub against the eye while blinking. This can lead to scratching of the cornea. If ingrown eyelashes are left untreated they can cause permeant damage to the eyesight. Any disease that concerns the eyes or eyelids can be source of irritation and pain. 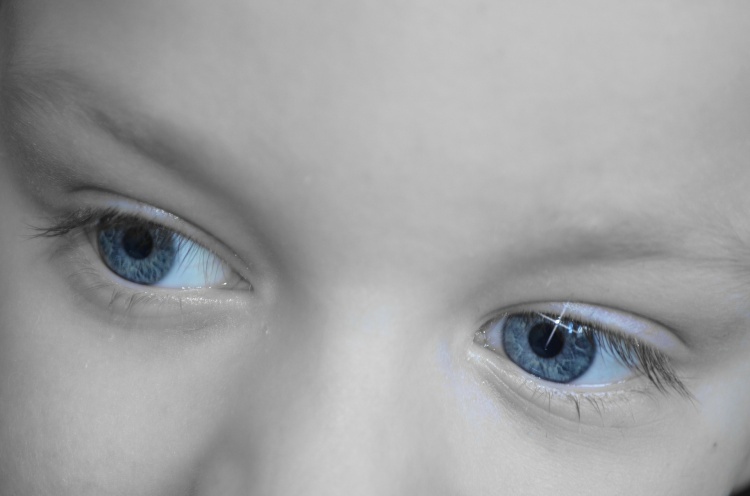 Eyes are one of the most essential organs in the body. So, taking proper care of your eyes is your duty to yourself. Ingrown eyelashes may not seem like a big problem at first. But if they’re not taken care of properly it can lead to some serious problems like scratched cornea. Below we are going to talk about few of the best treatment options for managing ingrown eyelashes. Along with all the medical options we are also going to take a look at a few natural remedies. Always remember to consult your doctor at once with a problem relating to your eyes. Because eyes are one of the most vital and sensitive organs in our body. There are not many natural alternatives for the treatment of ingrown eyelashes. The main (and the best) treatment of ingrown eyelashes is removal. If you have precise hand movements you can try plucking the ingrown eyelash with tweezers. But that is against advice because you can unintentionally damage the eyelid or eye. The best is go and see your doctor! In this section we are going to talk about a few home remedies that can help ease the symptoms of ingrown eyelashes. Some of these remedies can also help treat the underlying cause of ingrown eyelashes. When it comes to your eyes always consult your doctor. Warm compress is one of the best and easiest remedies for swollen eyelids (11). Inflammation is one of the main symptoms of ingrown eyelashes. While warm compress might not help treat ingrown eyelashes. Yet, it can help manage the symptoms. Warm compress helps increase the blood circulation. Thus, promoting quicker healing and resolution of inflammation. Warm compress helps alleviate pain, irritation and redness. It is easier to remove the ingrown eyelash when there is less swelling. How to use warm compress? Warm the cloth with an iron or by using warm water. Make sure the cloth is not too hot. Apply the cloth to your eyes and leave this on for about 10 minutes. Tea bag compress is an effective way to reduce eyelid swelling (12). Tea contains tannin, which is a great anti-inflammatory and anti-bacterial agent. Tea helps reduce inflammation and irritation of the affected area. While tea bag compress cannot treat ingrown eyelashes, but it can make you feel better. It can be used before and after removal of ingrown eyelashes to reduce swelling and pain. The antibacterial activity of tea helps prevent infections that might occur due to ingrown eyelashes. It also helps keep the area around the eye bacteria free and brighten it up. Low cost and no chemicals are the main advantages of using tea bag compress. How to use tea bag compress in treatment of eyelashes? Take a tea bag of black tea. Soak the tea bag in warm water for 5 minutes. Take the tea bag out and put it in the fridge for 10 minutes. Now take the tea bag and place it on your eyes. Keep it there for about 15 minutes. Remove and through away the tea bag. Repeat this every day to reduce the swelling. Removal of ingrown eyelashes is the best and proper treatment. Eye is a vital organ so any problem associated with it should be dealt with care. If you have a steady hand and are confident enough, you can remove the ingrown eyelash yourself. Care should be taken when removing the ingrown eyelash. There should be adequate light when you try to remove the eyelash. The tweezer that you are using must be clean and of good quality. So that you can remove the grasp and remove the ingrown eyelash easily. Coconut oil has be used for its medicinal properties for centuries. Coconut oil has both anti-bacterial and anti-inflammatory properties. This helps prevent recurrent eye infections that might occur due to ingrown eyelashes. Coconut oil can be used as an adjuvant for preventing complications after removal of ingrown eyelashes. Coconut oil also contains antioxidants that help improve the health of the skin around the eye. You can apply coconut directly to your eyelids using a Q-tip. Or you can take a warm clean cloth and apply a little oil on it. Now apply this coconut oil compress on your eyes. Leave it on for 10 minutes. Now remove and either wash the cloth or throw it away. Aloe vera has been used for centuries for its medicinal properties. Aloe vera gel or extract have both anti-bacterial and anti-inflammatory properties. There are many active agents present aloe vera like anthraquinones, sallcylic acid and acetylated mannans and ploymannans. These agents help fight bacteria and reduce swelling. Aloe vera gels are readily avalibale in the market these days. You can also buy an aloe vera plant and use the fresh extract from the leaves on your skin. Aloe vera does not cure ingrown eyelashes but helps reduce the symptoms. Gently clean your eyes and apply a little aloe vera on your eyelids. Leave it on for 10 minutes then wash.
Make sure to avoid contact with eye because it can cause irritation. The medical use of honey goes back as can be remembered. Honey is one of the best home remedies for eyelid infections. Honey has anti-bacterial properties. Using honey has no side effects so that makes it safe. The other advantage of honey is that bacteria are not resistant to it. You can use honey directly on your eyelids to treat the infection causing to ingrown eyelashes. Or you can use it to prevent infections that might occur due to ingrown eyelashes. You can use honey directly on your eyelids or you can make a warm honey compress. Add a few tablespoons of warm water in a bowl. Add a tablespoon of honey in it. Now mix well. Dip it in to the mixture for a minute. Now apply it on your eyelid for 10 minutes. Turmeric is an herb that is a part of many South Asian dishes. But along with its culinary uses, turmeric has been used since ancient times for its medicinal properties. Turmeric has both antibacterial and anti-inflammatory effects. It can help relieve the pain and irritation that occurs due to ingrown eyelashes. Turmeric also helps reduce the swelling. How to use turmeric paste in treatment of ingrown eyelashes? Take a teaspoon of turmeric powder in a bowl. Mix in aloe vera gel or rose water to make a paste. Apply this paste on the eyelids for 10 to 15 minutes. Remove the paste with cotton swab. Repeat this a few times a day for best results. Make sure it does not come in contact with your eyes. Because it can cause irritation. In case it gets in your eyes wash immediately. Cucumbers helps reduce swelling and irritation around the eyes. Cucumber slices can help reduce the pain and eyelid swelling associated with ingrown eyelashes. Cucumbers slices also help rehydrate the skin. Cucumbers have anti-inflammatory and antioxidant properties. The compounds like vitamin C and beta carotene help reduce the irritation around the eye. The anti-inflammatory action of cucumber is due to inhibition of pro-inflammatory enzymes like COX-2. As the swelling goes down it also helps alleviate the pain. How to use cucumber slices? Cut a few slices of cucumber. Place these slices in the fridge for 30 minutes to cool. Now apply these slices on your eyes for 15 minutes. The cold cucumber slices while help constrict the blood vessels and help reduce the swelling. Can ingrown eyelashes go away by themselves? I wish the answer was yes. But sadly ingrown eyelashes do not resolve by themselves. The best and the surest way be deal with ingrown eyelashes is their removal. There are many methods for the removal of ingrown eyelashes like electrolysis or cryoablation. There are a few drugs that can be given to manage the symptoms associated with ingrown eyelashes. It is necessary that ingrown eyelashes should be treated before they can cause serious problems like starching of cornea. Because it can lead to vision disturbance. The proper treatment of ingrown eyelashes depends on the cause and should always be advised by a doctor. Here are some of the most commonly used medical treatment options for trichiasis. Corticosteroids are used to suppress inflammation. There are many different corticosteroids available in the market for treating ocular inflammation. Although corticosteroids do not help treat ingrown eyelashes. But it does help manage the symptoms and treat the underlying cause (13). Prednisolone is a corticosteroid that helps reduce redness and inflammation. Prednisone eye drops (brand names: Predsol, Pred Forte, Omnipred, etc.) should not be used without the recommendation of a doctor. The common side effects of prednisolone are mild irritation of the eye and blurring vision. Use the drops as advised by your doctor. Prednisolone drops should only be used for a short time period. Do not touch the tip of the dropper. This ensures prevention of spread of infection. Tilt your head backwards and pull your lower lid down. Now turn the eye drop bottle upside down above your eye. Apply pressure so that a drop falls into your eye. Close your eyes for a minute. Out pressure with your finger on the area where eyes and nose meet. This helps prevent the draining of the drop. Now repeat with other eye. Fluocinolone is a corticosteroid used to manage inflammation and redness due to infections or disease. The fluocinolone cream is applied on the upper eyelid to reduce the inflammation due to ingrown eyelashes. Clean your eyelid gently before applying the cream. After applying the cream covering the skin for a while is advised because this helps with better absorption of the cream into the skin. Antibiotics are used to fight infections. Antibiotics may not directly treat ingrown eyelashes (14). But they can help treat the underlying cause and manage the symptoms. Antibiotics can be used as cream and drops to treat the redness and inflammation associated with ingrown eyelashes. Gentamicin cream (brand name Garamycin Topical, Dermycin, etc.) 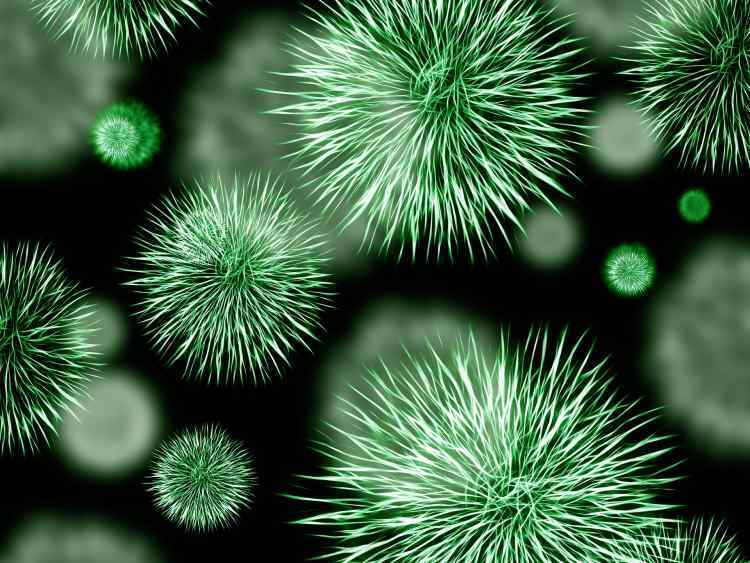 is an antibiotic that kills bacteria. It belongs to the aminoglycoside group of drugs. It can be used for the treatment of blepharitis, which is an infection of eyelids that can cause ingrown eyelashes. Gentamicin cream can be applied on the eyelids after ingrown eyelash removal to prevent secondary infection. Ciprofloxacin eye drops (brand name Ciloxan, etc.) can be used to fight infection of the eyes and eyelids. These eye drops help reduce the redness and pain due to the infection. These drops can also be used after removal of ingrown eyelashes to prevent secondary infection. Artificial tears are used for the treatment of dry eyes. These are ocular lubricant that helps relive irritation and discomfort. Artificial tears can no treat ingrown eyelashes but they can help manage the symptoms (15). Artificial tears can help reduce corneal scaring but facilitating the smooth blinking movement of the eyelids. Artificial tears are applied just like eye drops. Artificial tears are also available in form of ointment. How to use artificial tears in treatment of ingrown eyelashes? For applying ointment you need to pull your lower eyelid down. This makes a small pocket. Squirt out a little ointment into the pocket. Make sure not to touch the tip of the bottle with eye. Blink your eyes gently and then close them for a minute. Remove the excess with a tissue. Epilation is the process of removing hair from any part of your body. The conventional epilation methods like waxing, shaving or electric epilation are not suitable for eyelashes. Epilation of eyelashes can be done by two methods: manual or surgical. Epilation is done when there are only 1 or 2 ingrown eyelashes. After giving local anesthesia the doctor removes the ingrown eyelash with epilation forceps. This is one of the simplest and least time consuming ways to remove ingrown eyelashes. Epilation also has the least chance of complication if done properly (16). There is no need for general anesthesia from epilation. The main drawback to using epilation for ingrown eyelash removal is recurrence. This can happen when the cause of ingrown eyelashes is not removed. When eyelash grows back they will again curl inwards. Thus we will be right back where we started. Electrolysis is a procedure that uses high frequency electrical current for the removal of ingrown eyelashes. In electrolysis, current is passed through a fine needle like electrode into each hair follicle (17). The current helps destroy the hair roots. There are three main type of electrolysis: galvanic, thermolysis and blend. To achieve the best results through electrolysis multiple visits are required. For the best result the ingrown eyelashes should be removed during growing phase. Electrolysis has a good track record for permanent removal of ingrown eyelashes. Electrolysis is suitable for different skin and hair types. The disadvantages of electrolysis are that it is time consuming and technique sensitive. It can cause discoloration and scaring of skin. It is difficult to reach the follicle of curled eyelashes. Thus increasing the risk of treatment failure and recurrence of ingrown eyelashes. It can also further irritate the eye. Electrolysis is an expensive treatment. Cryoablation and cryotherapy are the two names of the same procedure. Cryoablation is a relative new treatment modality. It is a minimally invasive technique. In cryoablation, extreme cold is used to freeze and destroy the diseased tissue. In case of ingrown eyelashes the cryoablation focuses on the hair follicles. In cryoablation, liquid nitrogen or argon gas passes through a needle like applicator towards the targeted tissue (18). Ablation in the follicular cells due to cryotherapy occurs by three mechanisms. First is the formation of ice crystals in the follicular cells. Second is the interruption of blood supply. Thirdly, it is the induction of apoptosis (programmed cell death). The benefits of cryoablation involve less recovery time. Because it is one of the least traumatic procedure. Cryoablation is a relatively painless procedure. It has few side effect because it provides targeted therapy. Most importantly it can help permanently remove ingrown eyelashes. Like everything along with its pros cryoablation also has some cons. Cryoablation is an expensive procedure. During cryoablation damage to surrounding normal tissue or nerves can occur. It is a technique sensitive procedure. When using cryoablation there is a slight chance in damage of the ocular structures (eyes). Surgery is the most invasive management of ingrown eyelashes. This procedure is useful for people that have multiple ingrown eyelashes. Surgery can be done under local anesthesia. But the patient can be put under general anesthesia if need be. According to the Journal of Community Eye Health, the principle of surgery for trichiasis involves rotating of the eyelid margin. The surgeon rotates the margin of the eyelid (eyelash carrying part) outwards and away from the globe. A slit is made about 3 mm from the eyelid margin. And by the specific placement of sutures the eyelid margin is everted. This procedure can be done for both upper and lower lids. Surgery is one of the best permanent solutions to trichiasis (19). The main drawbacks of surgical management of ingrown eyelashes is that it is costly and technique sensitive. Argon laser is a relatively new treatment modality (20). It is used for the treatment and management of many ocular (eye) conditions. Argon laser uses ionized argon as an active medium. It passes as non-divergent beam of blue and green visible light. The argon laser works on the principle of photocoagulation. This means that the laser helps coagulate the cells and tissues. The Ophthalmology Department Jordan University Hospital Amman, Jordan published study that proves the effectiveness of argon laser for treatment of trichiasis. The patient is given local anesthesia before the procedure is began. 30 to 40 shots of blue argon laser is directed at the follicle of ingrown eyelash. The depth of penetration for laser is 2 to 3 mm. This has proved to be an effective and safe technique for the permanent removal of ingrown eyelashes. The benefits of argon laser include low side effects and high effectiveness. The treat is target base so low chance of surrounding tissue damage. The drawbacks of using argon laser are hypopigmentation and notching of the eyelids. It is an expensive procedure. And in some cases the ingrown eyelashes may reoccur. We all know that prevention is better than treatment. Above we have talked about different ways to treat ingrown eyelashes and their symptoms. In this section we are briefly going to talk about prevention. Visit your eye practitioner regularly. Always take out your contact lenses before you go to sleep and/or wash your face. Remove makeup at the end of the day. Wear sunglasses whenever you go out in the sun. Wear protective goggles when appropriate (like chemistry lab). Pamper your eyes ever now and then. You can do this by using cucumber slices or cold compress. Limit your time looking at the computer or mobile. Remember to blink every 30 seconds. Make sure you’re at eye level with the screen. Follow the 20-20-20 rule. This means that after using computer for 20 minutes look at something 20 feet away for 20 seconds. Work in a well-lit area. Follow a proper healthy diet plan. Eat food that contains vitamin A like carrots. Eat food with zinc like beef and peanuts. Eat food that contains vitamin C like barriers and oranges. Ingrown eyelashes are an irritating problem. If left untreated they can cause many serious issues. The worst complication of ingrown eyelashes is corneal scaring, which can result in blindness. The best treatment for ingrown eyelashes is their removal. Selection of treatment methods should be governed by the actual cause of ingrown eyelashes (e.g. treating the underlying disease or problem first) by health condition and affordability of the patient. 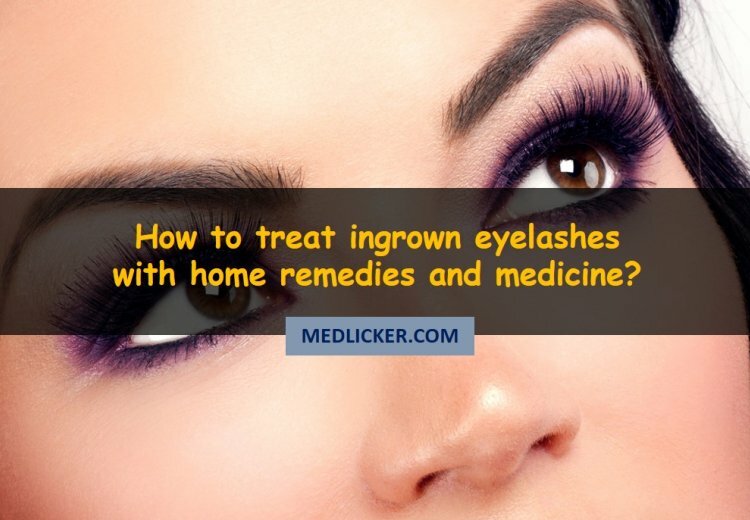 As far as home remedies for ingrown eyelashes are concerned these should only be used with prior consent of your doctor and only to ease the symptoms associated with ingrown eyelash hair. They do not provide a definitive treatment. 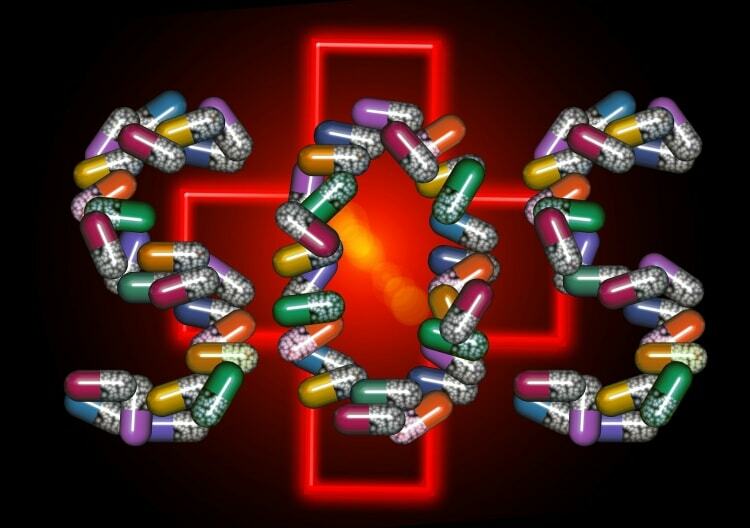 Antibiotics and corticosteroids can help reduce the inflammation and treat infections. Together with some natural remedies, these drugs can also help treat the underlying cause and prevent further complications. Here is a video showing removal of an ingrown eyelash. Always ask your doctor for a proper treatment and never attempt to self treat yourself.